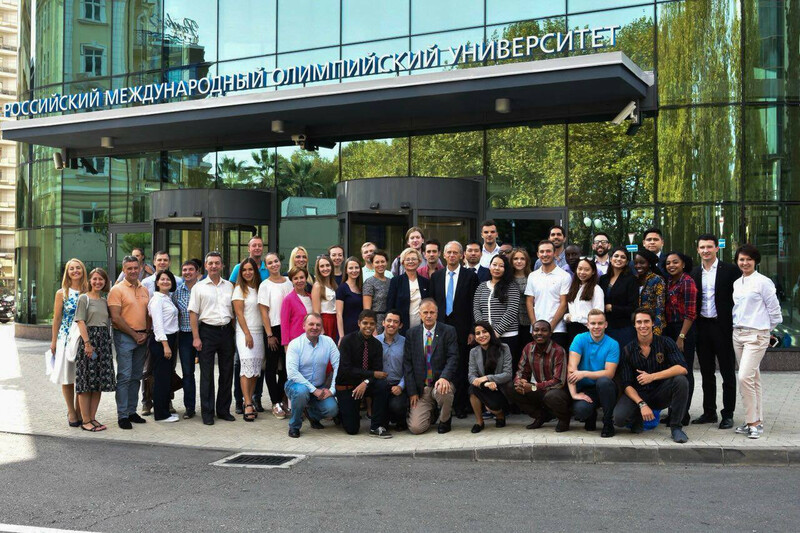 The Russian International Olympic University (RIOU) has welcomed its fifth intake of students from 16 countries, including representatives of National Olympic Committees (NOCs) and sports industry organisations, for its Master of Sport Administration (MSA) course. The MSA course, which aims to train the next generation of managers with both strategic and operational skills needed to manage sports organisations, events and venues in any economic environment, got underway in Sochi, drawing on the experience of its 2014 Winter Olympic and Paralympic Games legacy. Courses are provided in both Russian and English. Participants include representatives from Belarus, China, Colombia, Ethiopia, Finland, Ghana, India, Kazakhstan, Kenya, Mexico, Paraguay, Russia, Spain, Surinam, Trinidad and Tobago and Uganda. Most of the students will be financially supported in their studies by scholarships from the Vladimir Potanin Foundation, established to build on Sochi 2014 by providing grants for students and visiting professors. Many of them have worked in the Olympic Movement, sports federations, football clubs, non-governmental organisations and the fitness industry. The scholarship holders include candidates nominated by the Association of National Olympic Committees, International University Sports Federation, International Tennis Federation, and NOCs of Colombia, Kazakhstan and Trinidad and Tobago. Students on the Russian language version of the MSA course hail from 16 regions of the Russian Federation. For the first time, the group includes students supported by scholarships from the Russian Olympians Foundation. Among them are multiple Russian all-around champion and double European champion in artistic gymnastics Sergey Khorokhordin, London 2012 Paralympic javelin F12/13 silver medallist Anna Sorokina and Russian international athlete Vasily Dergunov. "The Russian Olympians Foundation, dedicated to assisting retired athletes with their transition to life after sport, is now offering such important opportunities." RIOU’s MSA students will study modules including economics of sports and the Olympics, governance, policy and the Olympic Movement, research paradigms in sports management, the business of sports and the Olympic Games and sports marketing and communications. The course will be delivered by distinguished Russian and international experts and professors from leading universities and centres for Olympic studies from across the world. Special emphasis will be placed on practical training and internships.